My beloved, where are you going? 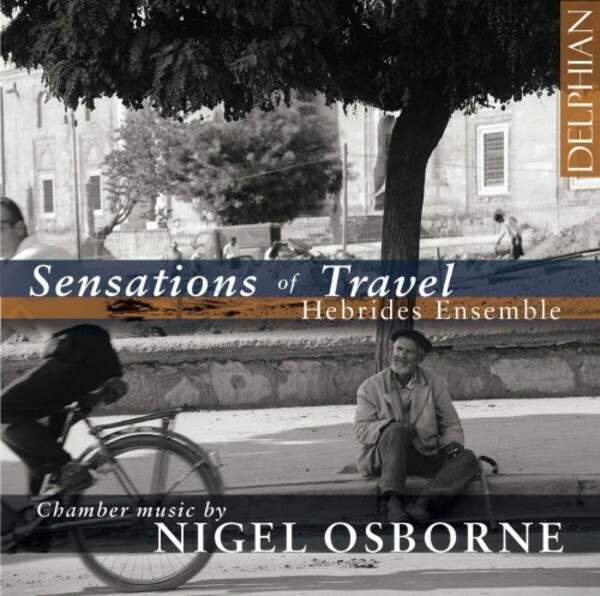 This third release from Hebrides Ensemble’s acclaimed recording partnership with Delphian pays tribute to the remarkable musical and human achievements of Edinburgh-based composer Nigel Osborne with a collection of solo and ensemble works. Adagio for Vedran Smailović – performed here by the Ensemble’s director, cellist William Conway – was written in Sarajevo in the winter of 1992–3; Osborne visited the city several times during the Bosnian war, a period recalled in the 2001 Hebrides Ensemble commission Balkan Dances and Laments. In Sarajevo and Mostar, Osborne developed a practice of music therapy for children that he has subsequently taken to warzones in Africa and the Middle East. Music’s ability to cross boundaries – to bridge nations and continents, to bear witness and to heal – lies at the heart of this album, on which Hebrides Ensemble’s eloquent advocacy is supplemented by soundscapes and sung interludes featuring the voice of the composer himself.